CEDAR RAPIDS – A man who illegally returned to the United States after being deported was recently sentenced to over four months in federal prison. 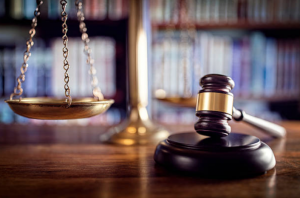 Julian Pol-Xan, age 42, a citizen of Guatemala illegally present in the United States and residing in Marshalltown, Iowa, received the prison term after a January 16, 2019, guilty plea to one count of illegal reentry into the United States. At the guilty plea, Pol-Xan admitted he had previously been deported from the United States in August 2003 and illegally reentered the United States in 2005 without the permission of the United States government. Pol-Xan was deported after he was found to be working at a meat packing plant in Dakota City, Nebraska, under a fake name and using fraudulent identification documents. In November 2018, Pol-Xan was found by immigration agents after he was detained by the Meskwaki Nation Police Department in Tama, Iowa, after Pol-Xan attempted to enter the Meskwaki Casino using a fraudulent identification card. Pol-Xan was sentenced in Cedar Rapids by United States District Court Judge C. J. Williams. Pol-Xan was sentenced to 127 days’ imprisonment. He must also serve a one-year term of supervised release after the prison term. There is no parole in the federal system. Pol-Xan is being held in the United States Marshal’s custody until he can be turned over to immigration officials.